Converted from a large warehouse, Vines Storage can offer options that other facilities can’t – including enclosed self-storage units s in an expansive space for your classic beauty on wheels or second car. If you’ve exhausted garage space at home or are wary of the costs and security of parking garages, trust your car to the professionals who specialize in storage. There are many advantages of car storage in Redlands, CA at the Vines Storage facility. The quality of storage matters. 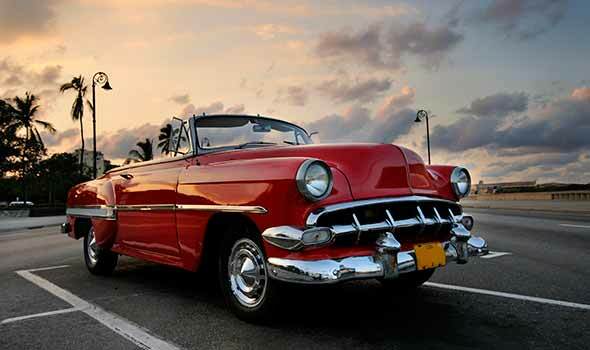 A facility’s design, technology, and other amenities all influence how your vehicle is protected from Mother Nature, pests and critters, vandals or thieves, and even fellow classic car lovers. Vines Storage: Where accessing your vehicle isn’t a risky proposition. With other facilities, space may be a premium. Cramped spaces mean headaches when accessing your vehicle and increase the risk of inadvertently damaging a nearby car or having another lease-holder damage your “baby.” Square footage isn’t an issue for us; Vines Storage offers more space per cubic foot than any other location boasting storage units in the Inland Empire. The ability to get in and out of the facility quickly and easily also makes it easier to keep up with the much-needed maintenance of a vehicle that may sit more than it is used. Even if it’s not your most valuable car or the likely target for thieves, your vehicle still requires TLC. The cold may not be as much of an issue in Redlands and the surrounding area, but heat can be just as damaging. UV exposure can also damage paint, interiors, and even what’s under the hood as exposure to direct sunlight can result in interior temperatures that exceed 195 degrees! The paint, dashboard, seats, and other components that have been lovingly restored or preserved may begin to fade or crack. Likewise, your second car may not start when you go to retrieve it if it’s been sitting outside unprotected for a prolonged period. Vines Storage has also made it easy to keep up on maintenance that keeps your car running and looking like new. Our onsite amenities include air, detailing, and washing. We encourage fresh oil changes to eliminate acid and other buildup, and to keep your vehicle purring. Don’t forget to fill up before you roll in -- a great way to keep condensation buildup at bay. Easily take care of these and other considerations for upkeep with stalls or units that allow you to drive in and out at your leisure, and that afford ample space to maneuver around your vehicle, care for it, and make necessary repairs or adjustments. Vines Storage is conveniently located three miles off I-10 Freeway, making it a breeze to regularly check in on your car or take it for a quick spin. Many parking garages leave your car exposed to pest, animals, and people. A low fence may be all that is between your car and damage from critters, or from criminals. Imagine just about any way your vehicle can be protected, and Vines Storage has it; from an 8-foot cinderblock wall to a security system that features alarms and 32 cameras, there are always “eyes” on your property and deterrents to vandals and thieves. Our security professional lives onsite, and each renter is required to enter a unique access code before being allowed into the facility through a secured gateway. Vines Storage’ office staff also keeps a close eye on comings and goings, because offices are strategically located at the gated entrance. Our professionals take great pride in the facility, and our ongoing maintenance helps to deter pests and critters that can get into tiny spaces and wreak havoc on beautifully restored fabrics or expensive vehicle parts. Moreover, garages to store your cars are yesterday’s news. 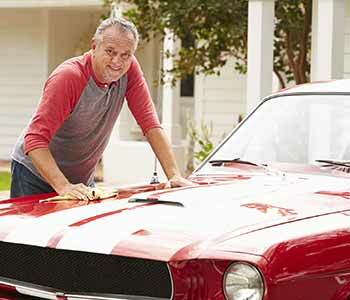 Free up space to create a hobby room, or to work on other projects – maybe even another classic car! Our month-to-month and long-term leasing is also an excellent alternative to hefty city parking, as well as a great value thanks to the array of onsite security precautions and amenities. Find out more about reserving a space at Vines Storage by calling 909-389-6209.